When the good people of Constanta, Romania, discovered dozens of dead starlings on the outskirts of town, they assumed the worst. After all, there have been a lot of weird mass animal deaths lately, and they figured the worst was upon them. However, the dead birds had a reasonable explanation, and it wasn’t the long-forgotten bird flu returning like they’d feared. 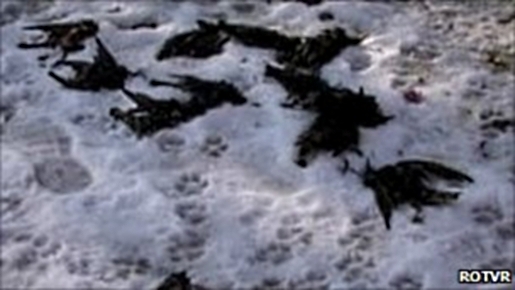 The flock of dead starlings in Romania had died from alcohol poisoning. Much like the Arkansas birds died of massive trauma, these birds died from massive amounts of partying. Birds are known to like a tipple now and then, and they get drunk just like anything else. This particular flock of starlings got their alcohol poisoning from marc, or the leftover fermented grape bits not used in the wine-making process. An examination of the birds’ gizzards revealed the grape product in their bellies. If you have to die, you may as well die drunk, right?